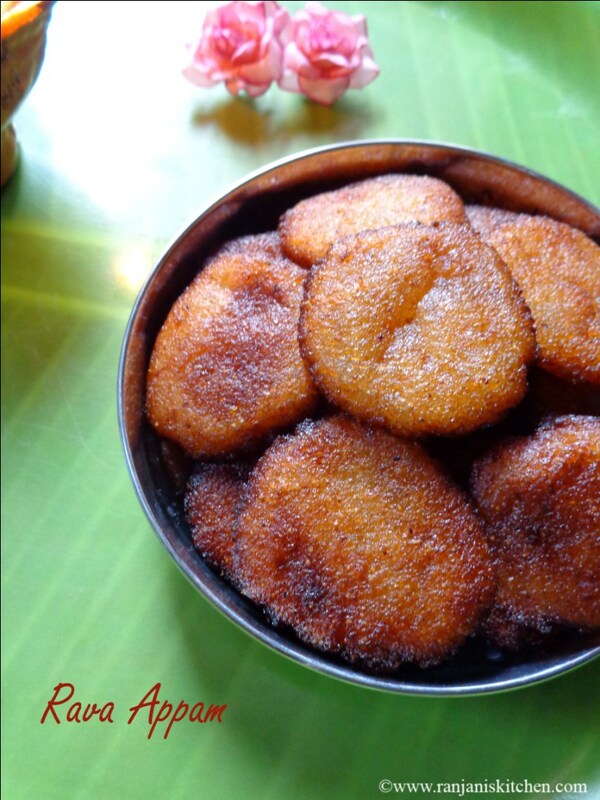 Appam is the traditional recipe to prepare in festival seasons. I referred this Rava Appam in Harichandana’s Indian cuisine. 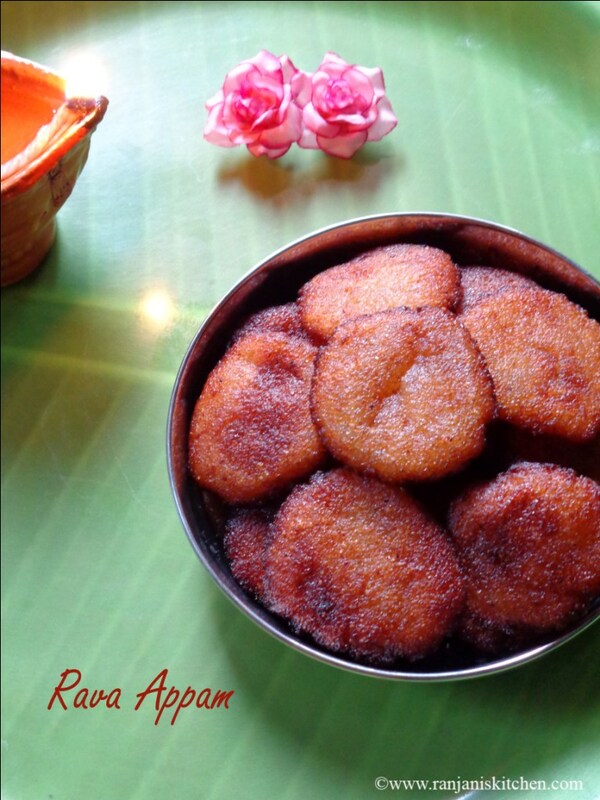 I haven’t heard of Rava appam/Paniyaram before. We used to prepare in Maida. This rava appam is very different and delectable. The measurements which I mentioned here is perfect. No need to adjust any levels. I used freshly grated coconut. You can use copra as well. 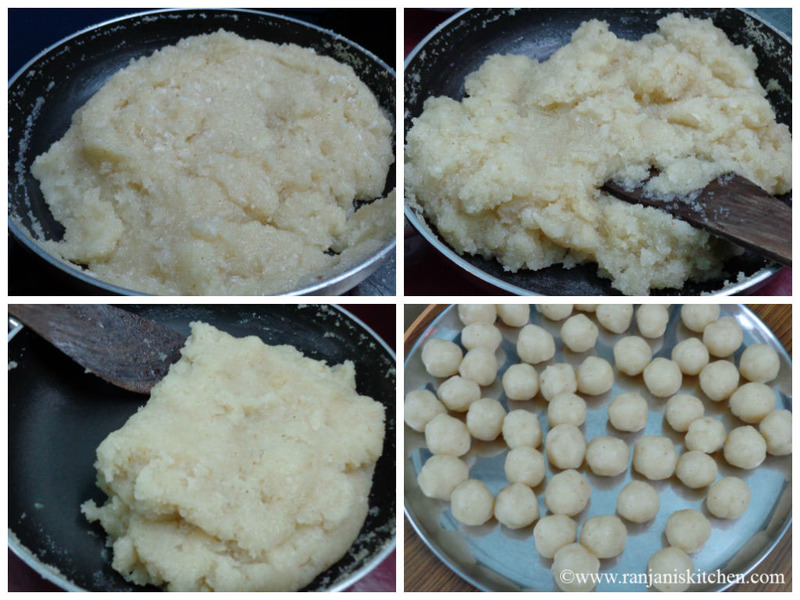 Lets see the preparation of Rava Appam. Heat a heavy bottomed pan, dry roast the sooji for 3 mins or till the nice aroma comes from the rava and keep aside. Heat water in the same pan to rolled boiling. Then add the roasted sooji in water little by little and keep stirring without any lumps. Then add sugar and stir well. 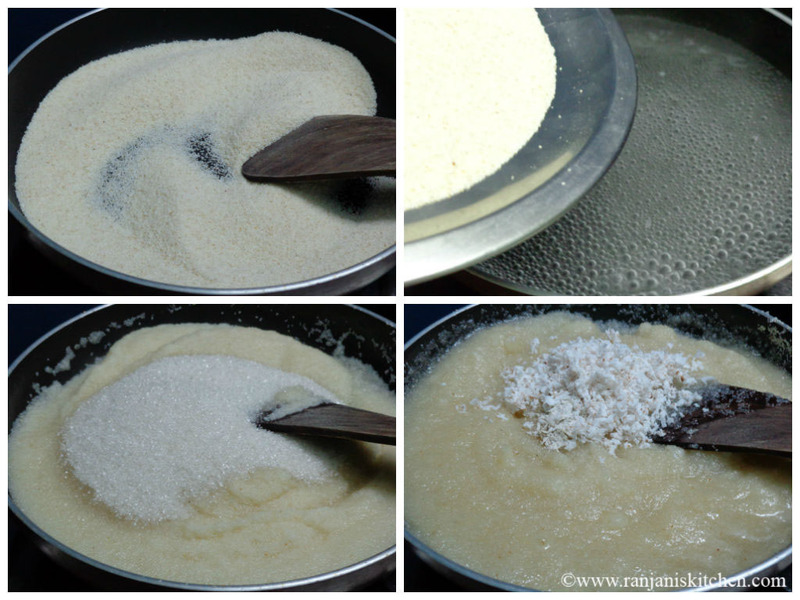 Finally add the grated coconut, ghee and cardamom powder. Stir together and cook closed with a lid for 5 minutes in low flame. Wait until it becomes thick dough. Then turn off the flame and allow the dough to cool down. Once it becomes hand resisting heat,knead the dough lightly and make small lemon size balls. Meanwhile heat the oil to fry the appams. Once the oil heated, keep it in medium flame and shape the lemon size balls by pressing with palms and fry in oil till it becomes golden brown. Fry equally on both sides. Then drain the oil completely and place it in a kitchen tissue to absorb the excess oil. Dry roast the sooji if it is double roasted as well.Dont burn the rava while roasting. One cup of water is enough for ½ cup rava. No need to add more water. Make sure there is no lumps in the dough. If there is any lumps , knead it well. While kneading, it will be little sticky. So grease your palms with ghee and knead. After making the dough to balls, press gently to make appams. Fry the appams to golden brown, if it burns that will taste bitter. So fry in medium flame and completely drain the oil. 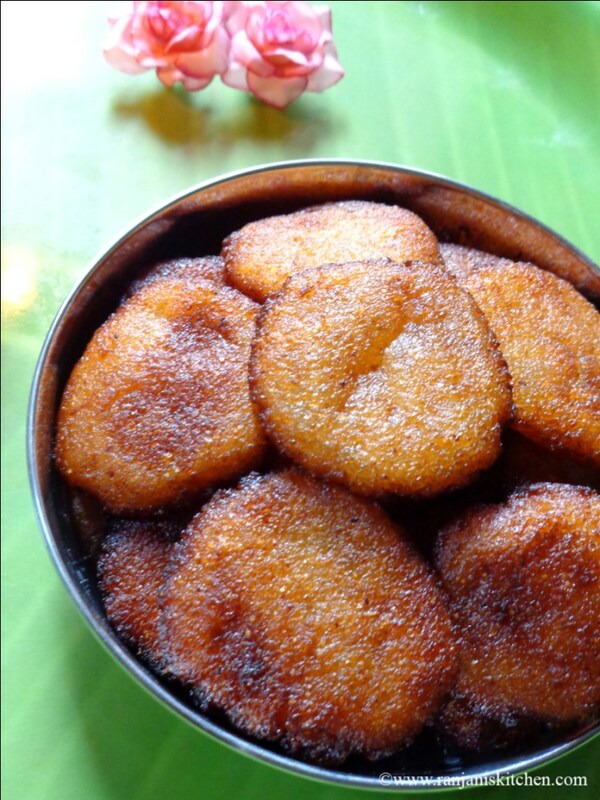 crispy rava appam…it has an inviting look….